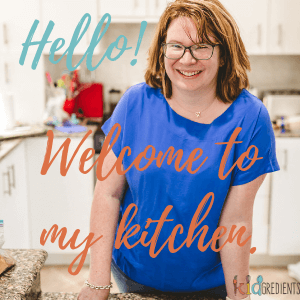 You are here: Home / Recipes / Dinner / Zucchini and Onion Bhajis, gluten free, yummy goodness! I love bhajis. If you don’t know what they are, they are delicious little puffy fritters that you can get at an Indian restaurant. I thought just making them onion would turn the kids off no end, so I added zucchini. You need to dry out the onion and zucchini mix before adding to the egg etc, but that’s just to ensure they end up crispy. They may feel like they will be too wet and stick to the pan or fall apart- but they won’t! They are positively delicious and would be great with a yoghurt and mint dipping sauce. If you don’t have besan/chickpea flour (it’s available at ethnic supermarkets) you could use plain flour- but it won’t be gluten free. They are great to keep in the freezer and can be reheated in the oven. Combine the zucchini and onion in a colander. Place a bowl of water on top to press it. Leave for 20 minutes. Combine the flour, cumin seed and ground coriander in a bowl. Add the grated onion and zucchini to the egg. Combine the wet and dry, mixing thoroughly to avoid dry spots. Heat 1.5 the oil in a deep saucepan. Drop tablespoons of the mixture into the hot oil in batches. They won't stick to the bottom and will start to puff and brown. Flip after 1 minute, keep turning until brown on all sides.